Get updates on community events, camp dates, and more! Deseree is a co-convener of the People of Color Sustainable Housing Network which serves as a hub for people of color interested in creating collectively controlled cooperatives, intentional communities, & co-housing models. 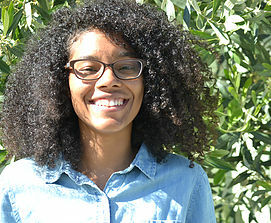 As an interdisciplinary scholar at the GTU, Deseree is engaged in research focused on geography, ecology, ethics, spirituality and land-based organizing projects. She is interested in creating and proliferating models of resilient, sustainable, and life-affirming economies. Mauro is a Central California native who now resides in the Bay Area, working as a youth educator and attending graduate school for Human Rights Education. Mauro has worked with K-12 students for nearly twelve years and has been an advocate for LGBTQ, immigrant, and working-class students in public schools while engaged in independent, critical scholarship and writing on issues of gender and race. Tone is an artist, science teacher, and design and systems-thinking enthusiast. When she is not shaping the minds of our future generation, you can find her talking about the multiverse with anyone who will listen, engaging in lively conversations about social justice with her online hive, and producing artwork that explores color, man's divorce from nature, and the human condition. She's interested in working with individuals and organizations that need help generating innovative solutions in order to create positive social and environmental change. Jahslyn is a developing multi-diciplinary artivist. This first generation Mills College alumni has shared her joyful leadership skills with the Ananda Living Wisdom School, Destiny Arts Center, Bay Area Rainbow Day Camp and the #DignityInProcess project. Raised in a feminist, spiritualist, environmentalist community, Jahslyn believes that there is economic value in intersectionality, gender transcendence, and Black & Brown liberation. She is proud to claim Abundant Beginnings as her anchor to the earth. Farima is a proud Bay Area educator-organizer-scholar. She is a kindergarten teacher in the Hayward Unified School District, a teacher educator and supervisor at the University of San Francisco and a PhD candidate at the University of California, Santa Cruz. She holds leadership roles with San Francisco’s Teachers 4 Social Justice, People’s Education Movement-Bay Area, the national Education for Liberation Network and the Radical Healing Institute at Flourish Agenda. Her research interests and areas of expertise include grassroots social justice teacher networks, critical professional development, critical racial affinity groups and radical healing approaches to support educators within the field.